Tuesday seems to be THE day for great parcel deliveries and today was no exception. 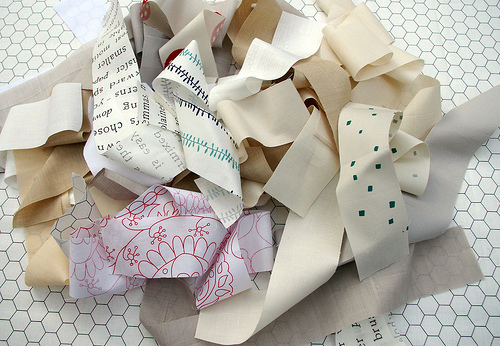 This delivery inspired a rummage through my fabric stash and a flash of the rotary cutter. This one is a bit of a personal challenge. I am turning down the volume on color/pattern; instead focusing on subtle shades highlighted by a a sprinkling of color. The plan will undoubtedly evolve as I spend more time working on this project. Ooh, that yarn is sublime! I can already see it turned into a delicate lacy summer shawl for the cool evenings. I am liking what I see! Looking good! I can't wait to see the finished product! I love the colour of that yarn which appears to have inspired what I am sure will be an incredible quilt. Yep. I'm coming over all a'DITHER over this one. 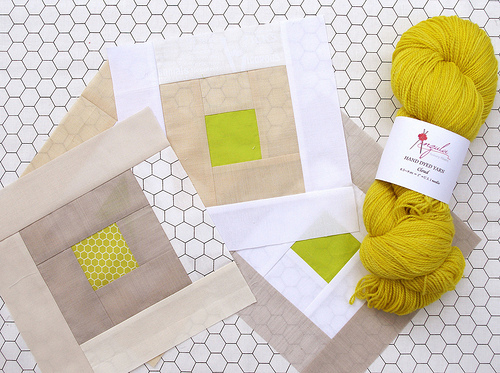 Love neutral quilts and that citron color will be a fabulous pop! Ooh Rita, I like this a lot. What a great colour choice for that pop of brightness. Can't wait to see more of this one. I don't know if you remember the old Australia Post TV ad about the days of the week, but it said in that that more mail gets delivered on a Tuesday than any other day, and it must be true, because I got quite a few packages today too. wow. incredible. I love it. I have always loved you fabric choices I seriously wish there was a shop with Rita bundles. Love the restrained colours! Mustard is high on my list of lovely colours after seeing the Echo fabrics! Oh those neutrals with that dash of color looks lovely. It's giving me some of my own ideas. Nice work. Ooo this will be a very in style quilt. Nudes and brights are so in right now! Love it and can't wait to see what comes of this collage. I like the bright yellow centers in the blocks so far. Lovely. What are you planning on doing with the yarn? Have a super day! wow, rita. this looks great. you always inspire me. your work is really really amazing. I love those neutrals, do you know what fabrics/colors those are? Rita, I am a big fan of your quilts. I look forward to seeing what your are going to do with this quilt. 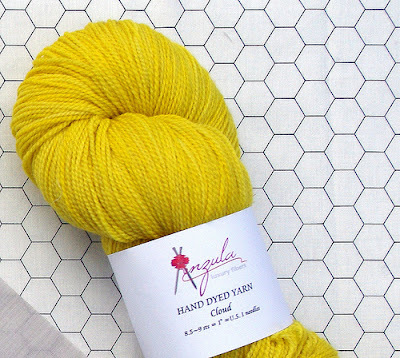 I am crazy about that citrus color you've put in the center of your blocks. Great idea.